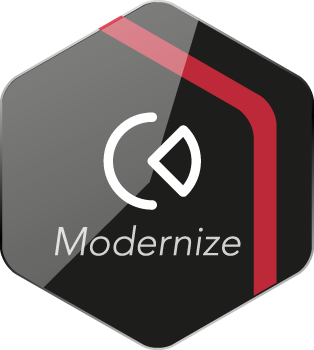 Moving to one global ERP system can greatly simplify and reduce the costs of application lifecycle management, enabling easier adaptation to future business changes. But international SAP deployments via traditional, labor-intensive methods are a challenging path. In addition to aligning and harmonizing system processes and data across geographical boundaries, organizations must keep international legal and compliance considerations top of mind. Adding to this complexity, some local sites may choose to carve out their SAP instance from the central organization to better meet local market conditions and enable business process customization. CrystalBridge, SNP's proprietary transformation software, scans your existing SAP landscape, no matter its territory and complexity, and converts the existing landscape into an easy-to-read visual view. You can then use this landscape readout to simulate the impact after the global SAP rollout, carve-out, cloud move, or migration. CrystalBridge is the command center where you can conceive, plan, and implement changes as your organization undergoes transformation at any scale. SNP transformation software goes a step beyond consolidating and meeting the requirements of your global SAP implementation. Informed by over 7,000 transformation projects, SNP automation offerings help you assess and select the most efficient business processes by collecting key business indicators. The "winning" processes can then be rolled out in the harmonized environment. The result is process simplification and optimization within the central SAP system. Ultimately, the enterprise will benefit from a streamlined, optimized IT landscape to support future growth. As organizations roll out SAP across new geographical boundaries, plants and branch offices often choose to withdraw from their central SAP ERP system in order to better tailor their business processes to local market conditions. But transferring data to a dedicated local solution costs considerable time and money, and many organizations are hesitant to take the plunge. 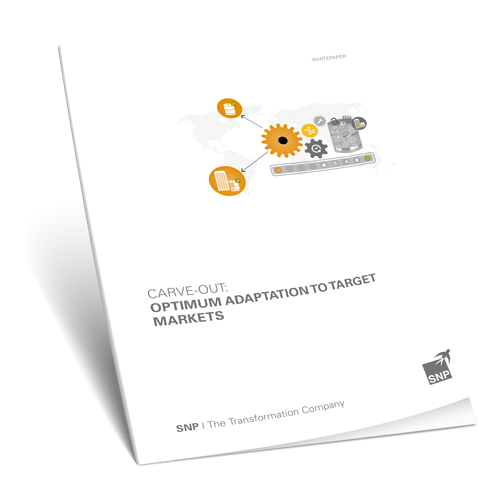 Download this SNP white paper to learn how automation can reduce the risk and concern associated with traditional SAP carve outs to near zero. 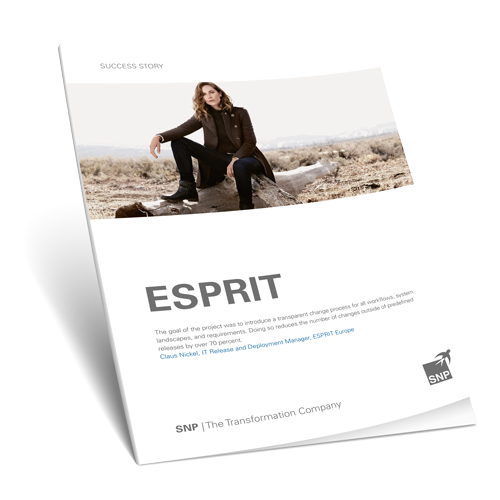 When ESPRIT wanted to introduce a transparent change process across all workflows, system landscapes, and requirements, SNP's process expertise and experience with SAP Solution Manager met the clothing manufacturer's needs. Download now to learn how SNP helped ESPRIT to cut the number of changes outside of predefined releases by over 70%.